Dr. Daniel Amen:	Welcome, everyone. We are so excited to have one of our friends but also a world leader in integrative medicine, Dr. Wayne Jonas, who I've known - goodness - for more than a decade. He has a new book called How Healing Works, drawing on 40 years of research and patient care. Dr. Jonas explains how 80% of healing occurs organically and how to activate the healing process. Dr. Jonas is a practicing family physician, an expert in integrative health, healthcare delivery, widely published, a retired lieutenant colonel in the Army. I was a retired major. That seemed like forever ago. He was the President and Chief Executive Officer of the Samueli Institute, a nonprofit medical research organization supporting the scientific investigation of healing processes, stress, pain, and resilience, often using alternative medicine. So I could go on and on with the bio, but Wayne, just welcome to The Brain Warrior's Way Podcast. We are grateful that you will spend some time with us. Tana Amen:	Yes, thank you. We love what you're doing over at the Samueli Institute, too, so it's fantastic. We love integrative medicine. Dr. Wayne Jonas:	Thank you. Tana Amen:	This is refreshing. This is fantastic. Dr. Wayne Jonas:	Well, thank you. It's a great honor to be on this podcast. Thank you for having me. As you know, there's a new Samueli Institute now embedded at University of California, Irvine. So it's run by Dr. Shaista Malik, and they're just getting going to try to create an entire college focused on integrative health that deals with physicians, nurses, public health, pharmacologists, and the undergraduate school. Tana Amen:	Fantastic. Much needed. Dr. Daniel Amen:	So tell us why you wrote How Healing Works. Dr. Wayne Jonas:	So I have been seeing patients for a long, long time, almost all in the military, where they have platinum level health insurance. So they get access to specialists and procedures, top of the line healthcare. Then I've had the great opportunity to kind of look at healing traditions outside of the mainstream. I'm trained as a mainstream primary care doctor, family doctor, and practicing the [inaudible 00:03:33], I did mainstream medicine for many, many years. But I also had the opportunity to look at other types of practices in Asia, in Germany, in Africa, and a variety of other places to look at traditional healing practices or what are sometimes called complementary and alternative practices to Western practice. I also then was able and had the great fortune to look at it through a research lens, being at NIH and at Walter Reed Army Institute of Research and teaching research. So I was able to kind of examine a variety of healing practices from around the world, including the ones that I practiced. I discovered through those lenses and through that practice that there's certain things that conventional medical care is really good at and certain things that, basically, I'm not good at. It's really good at saving you're life. So it is good at acute care, if you have a heart attack or a stroke or an accident or an infectious disease. It's gonna be serious or cancer or something like this, it's very good at intervening quickly, stopping that. Everybody loves that, of course, obviously, 'cause they wanna be saved. But then it's not very good at preventing or managing and reversing chronic illness. Because we're so good at stopping us when we're dying, we have an aging population now, which has more and more chronic illnesses of a variety of types - diabetes, obesity, heart disease, brain diseases, this type of thing. I'm not very good at that. The system that I learned in medical school is not very good at that. Only about 5% of resources are invested in that. I wasn't trained in that type of thing. So you need to realize that the kind of thing that you're going to your doctor's gonna help you for and the kind of thing that they need a little help in getting done, and that's what this book is about. I think the key point I wanted the public to know is that 80% of healing and health for chronic illnesses comes from outside the healthcare system, outside of your doctor's visit. So you need to work with your doctor on that. Your doctor wants to help you with that. But if you don't actually address that, if you just go to your doctor and do that, you're gonna be only getting about 20% of health and healing. You're leaving the 80% on the table. So I want people to realize that they can actually get that 80% and bring it into their lives and begin to do that, even within the current healthcare system. Tana Amen:	I love what you said, and it takes me back to when I was in nursing school and when I first became a nurse. It's really interesting. So I went to school at Loma Linda, and I worked at Loma Linda, which is a Christian college - Christian medical school, nursing school, all the medical arts. I remember going through all the training and having to go through all of the different practices. They put us in community health nursing, and all the different types of nursing. When I got to trauma, I actually felt like I could do something. So I got to the trauma unit, and I'm like, "Okay. Now I get to actually do something," 'cause I felt helpless when I was working in some of the other, as you said, chronic illness settings. I didn't feel like I could do anything, because with Western medicine, I felt like my hands were sort of tied. It felt depressing to me. They were better, I thought, than a lot of places, because they incorporated the spiritual aspect. So they didn't really incorporate a lot of the Eastern medicine stuff, but they did incorporate at least the spiritual component. Dr. Daniel Amen:	Also lifestyle. Tana Amen:	Lifestyle. They were very good at lifestyle. Dr. Daniel Amen:	'Cause around Loma Linda, it's one of those Blue Zones. Tana Amen:	Loma Linda is Seventh Day Adventist. Dr. Daniel Amen:	It's one of the Blue Zones. Tana Amen:	So exercise and those types of things were ... Getting rid of alcohol and processed foods and things like that, they were very focused on. So they were better than most, for sure. But I felt so helpless with some of the chronic ... like chronic pain and things like this, that when I got to trauma, I'm like, "All right. This is where I'm going, because I can do something." So what you're saying just really takes me back to my training. What you're saying makes so much sense, that we could be doing better. I don't ... I never could figure out what that was that we could be doing better at the time. Now I have a better concept of it, and I love what you're doing. It makes sense to me. But I remember feeling lost when I got sick myself, for the very reason you're talking about. Dr. Daniel Amen:	... which is what we talk about all the time here. But then juxtapose that against 75% of the healthcare dollars spent in the United States are spent on chronic, preventable illnesses. 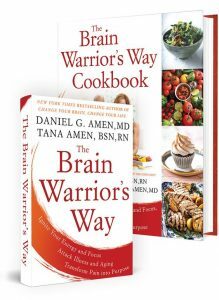 So that's why this podcast is called The Brain Warrior's Way, because you're in a war for the health of your brain. If you're not armed, prepared, and aware, you're gonna lose the war. That not only hurts you, it hurts people you love, 'cause we're now, with epigenetics, in a generational battle for your health. So we actually have three podcasts with Wayne, and the first one we're gonna focus on what are things patients can do for themselves to work toward their own recovery. So tell us, from the book and from your experience, what are the most important things patients or people can start doing for themselves? Dr. Wayne Jonas:	No, happy to do that. You're right. Actually, the data's out. National Academy of Medicine and many other groups have shown that, if suddenly everybody were to have platinum health insurance like the patients that I see in the military, if we were to solve the whole health coverage process and give everybody healthcare coverage, it would only improve the health by about 15 to 20%. So where does the rest of it come from? Where does health come from if medical care is only providing 15 to 20%? The first area, which is about 40% at least, has to do with what's sometimes called lifestyle but I prefer to call behavior. This has to do with some very simple things that hit all of the chronic illnesses, and that has to do with things like nutrition and appropriate food and diet. It has to do with movement, activity - sometimes called exercise, but it's really just about moving. It has to do with stress and stress management, which have a huge impact on the ability and has to do with our social relationships. Sleep is a major part of that behavioral component of it. We're learning more and more about the ubiquitous impact of sleep, lack of sleep, or inadequate sleep on all kinds of problems, all kinds of chronic problems. So those are the four lifestyle areas - sleep, nutrition, activity, and stress and stress management. Then a big chunk of health actually comes from things that enable you to engage in those kinds of behaviors or don't. Those are called the social determinants, and that's another 30 to 40% of what results in health. That has the social environment. For example, are you in a relationship or with friends and family where you have connections, social support? Huge issue. In people that are in the Blue Zones, okay, for example, they have huge social support. I was just in Chicago. Huge problem with food deserts, with places where there's violence, where people can't actually get outside and walk and that type of thing, 'cause the way the city is structured. Those social determinants either are enablers of the ability to engage in the things that keep you better and actually help heal you if you have a chronic disease or not. Then there's the physical environment, the actual place that you live in. That means not only the light and the ambiance and the beauty and a place where you can go and just feel like you can relax and heal, but also the chemicals that are in the environment, what you're exposed to in terms of pollution and toxic things that can interfere with those metabolism. All of this is driven by the spiritual component. I'll put that on hold for just a minute, because the core determinants I just described, those are the things that if you can engage in those and optimize both the behavioral lifestyle and the social determinants, you're gonna not only prevent a lot of chronic illnesses, but you're also gonna be able to deal with chronic illnesses, including things like chronic pain, heart disease, obesity, brain injury, that type of stuff. Dr. Daniel Amen:	So someone was gonna do three things to begin to take control of their health. How would you prioritize that for them? Dr. Wayne Jonas:	So I see a lot of patients that have PTSD, chronic pain, traumatic brain injury in the military, 'cause I see a lot of patients in the military. I always ask them ... I do something with them that asks them the question about ... to try to get at their personal determinants. So I'll always ask them about their sleep, for example - often a very important thing to talk about. Are they rested? How much sleep are they getting? Are they suppressing their melatonin by looking at their cell phones and TVs and stuff right before they go to bed? Is the room that they're in a place that is conductive to sleep? Are they on any medications that might interfere with their sleep? So I'll ask about sleep. I ask everybody about what their nutrition is. A simple way to do that is just say, "What did you have for breakfast, lunch, and dinner the night before?" and just count the number of fruits and vegetables servings that they had. I'll always ask about movement. What do they do in terms of exercise in those areas? I'll ask if they have a social support environment or if that's been a problem for them. So those are the core kind of three or four areas that impact most chronic illnesses in this country. If we can begin to bring evidence in to help them learn how their biology responds when those things are optimized, the data that shows that chronic illnesses can be both prevented and, in many cases, improved, if those are optimized, then we get them onto a healing path, where they begin to take ownership along with ... in partnership with the medical care that they're getting. I call this integrative health, and I think it is the ... Integrative health is the intersection between conventional medicine - you need conventional care; it's not bad - evidence-based, complementary, and alternative medicine - like, "My body practices yoga, acupuncture, that type of thing" - and evidence-based self-care - lifestyle medicine, it's sometimes called in the medical profession. The juxtaposition of those three things I call integrative health. This is the kind of system we need to manage a chronic illness population instead of the acute care system that hits at people with pills and procedures on the surface. Tana Amen:	One thing that is frustrating as a patient ... So I had thyroid cancer that metastasized and came back a number of times. I had to go through not only several surgeries but other treatments when I was no longer a candidate for surgery because of the scar tissue and whatever. So I remember being a patient. Traditional Western medicine ... Believe me, I am grateful for what was available to me. I had top-notch medical care. But going in and hearing ... Because I was very frustrated, didn't feel good. I was on nine medications at 40 years old and was extremely frustrated and honestly just felt like, "What was the purpose of life? Why am I doing this? At 40 years old, why am I doing this any longer?" So not that I was suicidal. I just didn't understand why I had to do this. This didn't make sense. I don't feel good. So I went in to the doctor, and he said to me, "You should be grateful for all these medications, because you have to take them. You need to accept it." He actually suggested I see a psychiatrist, 'cause he thought I was in denial. Dr. Daniel Amen:	That is not how we met. Tana Amen:	We were already married by then. I'm like, "What?" So that was one thing. The other thing he said to me that sort of blew my mind as he was telling me that I needed to accept this ... Maybe you can comment on this. He said that it is not only acceptable, but it is average. It's normal, that for every ... One of the reasons that people live so long now is that for every decade of life, we expect that people should be on one medication, for every decade of life, and if you have a chronic illness or you've had something like cancer or some other serious illness, that it could be up to double that. I was like ... My jaw hit the floor. It was literally at that time I walked out of that office and became my own advocate. I took every class I could take in integrative medicine to figure out, "There's gotta be a better way. This is ridiculous." I mean, that's when I hit the floor. I was like, "There's no way I can do this any longer." Dr. Daniel Amen:	Well, he was an endocrinologist. When I walked in his office, there were candy and cookies for patients. For me, I would've just walked right out. 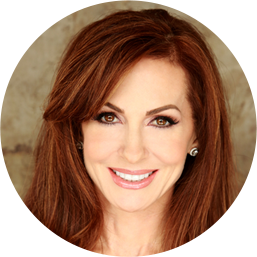 Tana Amen:	Cardiothoracic surgeon told me, "Why are you doing it?" He was overweight and he smoked, and he said, "Why are you doing all of those things? You're only gonna live maybe five to eleven years longer." I'm like, "Have you looked around our unit? There are patients on ventilators and dialysis. I don't care if I live five less years if my years are better on the planet. I don't wanna be on dialysis. What are you talking about?" But you can understand why ... I have education in the health field, in the medical community. I know more than the average person, and I have resources. I was confused. It's hard, and you've got people fighting you on it. What is someone supposed to do who doesn't have that? It's frustrating. It's hard. Dr. Daniel Amen:	You're preaching. Tana Amen:	I am. I'm mad, 'cause it's hard. Dr. Wayne Jonas:	It is frustrating, isn't it? Dr. Wayne Jonas:	... like this doctor was trying to provide to you and was providing to you for your cancer. Dr. Wayne Jonas:	... to identify those things that you can do to help optimize your health, even along with and with that kind of treatment. That's why filling this gap with integrative health is necessary. As I was writing this book, my wife also went through cancer. I write about it in there. She gave me permission to do that. What it involved is working with her oncologist, who was a very good oncologist, and opening up the questions to the other dimensions of a person - the social and emotional components. You've talked about the spiritual components, which are key. Why are you here? What do you wanna live for? We had a new grandchild at the time. My wife said, "I'm gonna take care of that grandchild." Dr. Wayne Jonas:	"So I've gotta do the things necessary to kind of keep me able to do that in those areas." If you can connect that deeper spiritual, mental component, which is at the heart of why people are here in the world, with the behaviors and the social components and the medical treatments so that those are lined up, all four components - the external, the behavioral, the social and emotional, and the mental and spiritual. When those get integrated and aligned and you're actually delivering that, then that's when you're all on the same team and you optimize health. I'll give you an example. I actually write about this in the book. He didn't have cancer. He'd had other conditions. But he had 20 years of back pain. This was a retired military guy. He had had full healthcare benefits. He had medications. he had injections, he had electrical stimulation, and he had had surgery three times. Okay? He still couldn't get in the car and drive for five hours and really function. So I did something with him to do what's called an integrative health visit. I call it the HOPE Note. I ask the questions about what are the core things that matter to him, rather than just what's the matter with him. So I asked this fellow ... He first said, "Well, I've got this pain" and all that type of thing. But then I asked him, "If you were pain-free, what would be the most important thing you wanted to do in life?" He immediately knew. He said, "I would get in my car. I'd drive down to see my grandkids, and I would get on the floor to play with them. That's the most important thing for me right now in my life, is getting up and down off the floor. I can't do it." I said, "Okay. Why don't we see if we can just get that for you?" So we forgot about his pain. He'd had lots and lots of pain treatments, okay? Poked and prodded and surgerized and everything. We said, "Okay, forget about your pain for a minute. Let's go over to the physical therapist and show some strengthening moves, yoga-type moves, etc. We're gonna work on that just to get you up and down off the floor." He worked on that. It took him about three to four weeks of constantly working on that. It hurt. Okay? But it was meaningful for him. Dr. Wayne Jonas:	It was so important to him that he did it. Now he was moving better, okay? He was actually feeling better. He drove down ... In about a month, he drove down, saw his grandkids, got down on the floor, and was able to play with them. Dr. Wayne Jonas:	He called me up after that, and he said, "Thank you. This is ... You've made my life." Guess what? He kept doing that, and within about four or five months, his pain was much less. He's empowered now. He's taken charge of his back pain after two decades of getting pills and procedures. Tana Amen:	I love it. 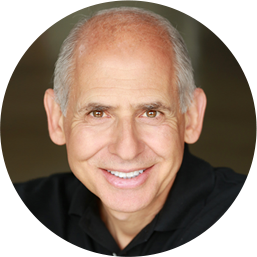 Dr. Daniel Amen:	If you know why and then have good care, it goes so much faster. Stay with us. When we come back, we're gonna talk about the prescription medicine crisis and lessons from Dr. Jonas on how to manage chronic pain without opiods, based on his experience with veterans who suffer from PTSD and chronic pain.